When we did the Grotto-Summit-Rockies traverse of Mt. Maculot December of 2012, it was against the rule. Traversing Mt. Maculot from the grotto side has been prohibited indefinitely by the barangay that has jurisdiction over that area. 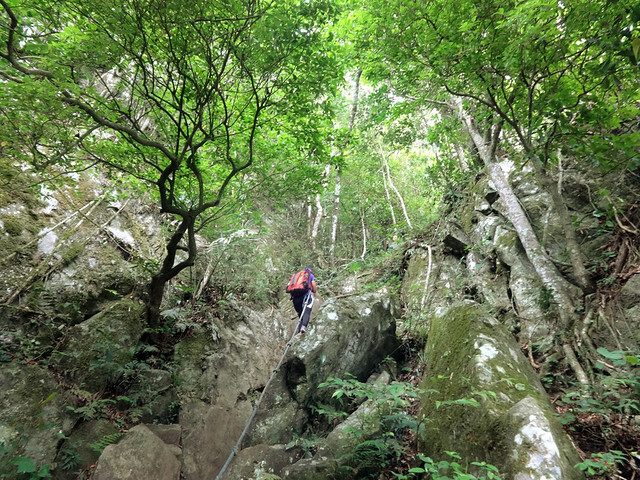 I asked them why, they said the ropes on the trail have become too frail (pero nung nakita ko, hndi naman tlga). It just so happened that it was our lucky day, the local officials allowed us to traverse after pleading for like 5 minutes. Six months after my first Mac-Trav, I found myself doing the same thing again, hoping that our charm would work for the second time. From the heart of Cuenca town, we walked the streets to Brgy. Pinagkaisahan hoping that the local officials would again let us pass. Kinakabahan ako dahil baka hndi kami payagan. The closer we get, the more I become nervous. However, the barangay hall was surprisingly empty when when we arrived at 7:40 in the morning. Nasan na ang mga tao??? I asked the guy in the nearby house, he said they're out in the market, but he pointed me to one house a few meters away (probably the house of one of the barangay officials). An old man welcomed us and asked what we're up to, we said we're going to hike the grotto (I did not tell him we're planning a traverse, pasaway much). He did not bother asking any more questions, opened the barangay hall, let us sign the log book, and charged us P5 each. As quickly as that. Minutes later, we're already ascending the stair-steps to grotto. 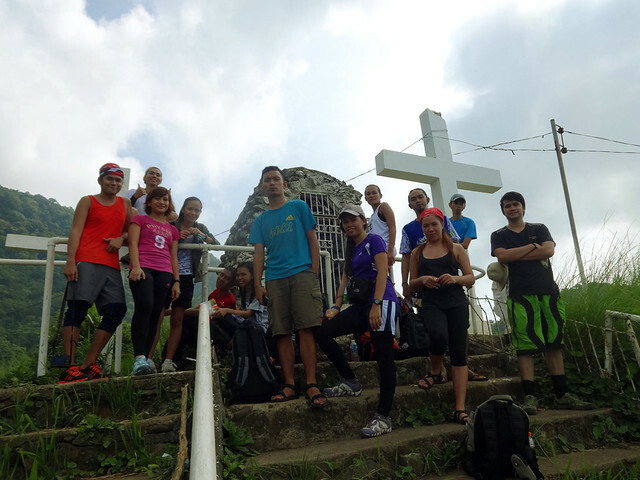 Maculot Traverse starts at this concrete stair steps. Tiring and punishing, for me, this is the most challenging part. For the unprepared, inexperienced and underestimating, the concrete steps to the grotto proved to be the most difficult part of the entire traverse. 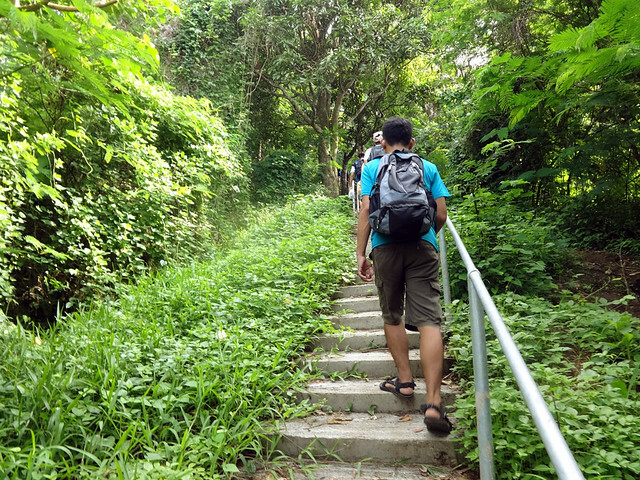 And I believe so, coz I, myself, find it more punishing to use the concrete steps than the actual nature trail. Anyway, it took us an hour to overcome this stair step challenge. At the end of it is the grotto. 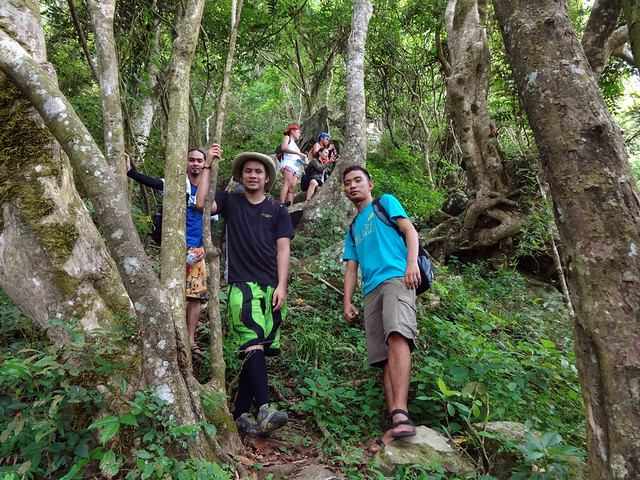 I was joined by active and budding mountaineers in this hike. Here's our photo at the grotto. Offers view of Batangas lowlands. Beyond the grotto was a woodland trail that's just easy, even the non-hikers in the group enjoyed the hike. There are a few tiring steeps but still generally easy. Everyone's favorite, of course, is the roped segment and rock faces worthy of photo opportunities. Take note too that teka-teka plant grows abundantly along the trail, surely nuisance to every hiking party. In no time, we reached the not-so-remarkable summit of Mt. 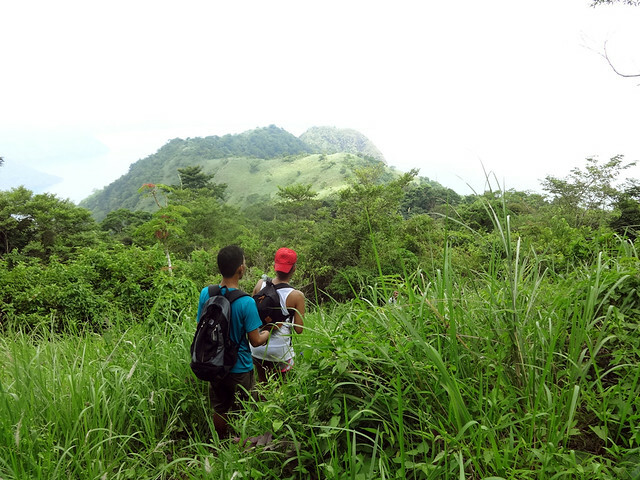 Maculot, nothing to see but thick vegetation, unlike the rockies view deck which will surely pop your eyes out. Indeed, you'll want to reach the summit just because it is the highest peak. 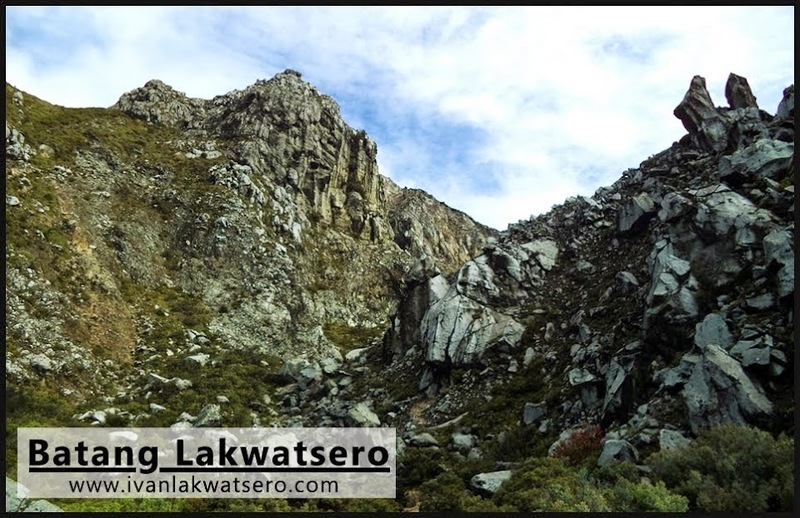 Oh well, tulad nga ng sinasabi ko sa lahat, "if you want to fall in love with Maculot, go to the rockies and not its summit"
A considerable clearing at the summit area is very ideal to set up a camp for overnighters, and to have lunch for dayhikers. After the sumptuous lunch, we continued the hike. From the summit, we descended the single trail towards the rockies area, roughly an hour trek. Tall, sharp, blade-like talahibs were encountered. By 12:30 PM, we're already at Maculot Campsite. I saw only a few people in the area, so strange for a Saturday, (probably the effect of the Maculot incident that happened a month ago). Last month, Mt. 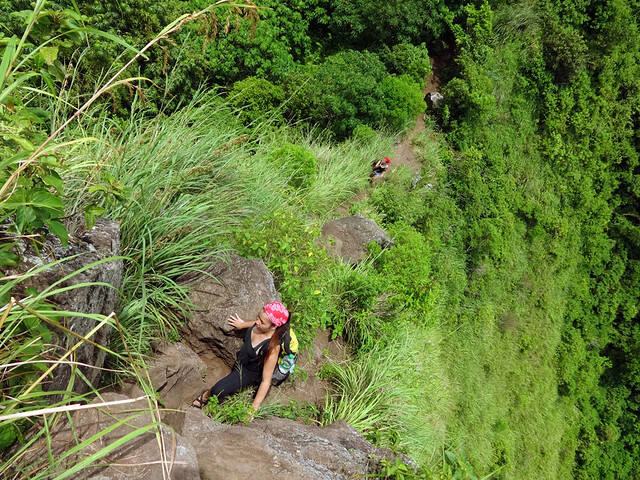 Maculot has been in the news because of the tragedy that took the life of a mountaineer. He was missing for 2 weeks, then later, his body was found beneath the rockies. the spot where the mountaineer, Victor Ayson, was last seen. On the way to the rockies, just a few minutes from the campsite. Hiking up Mt. 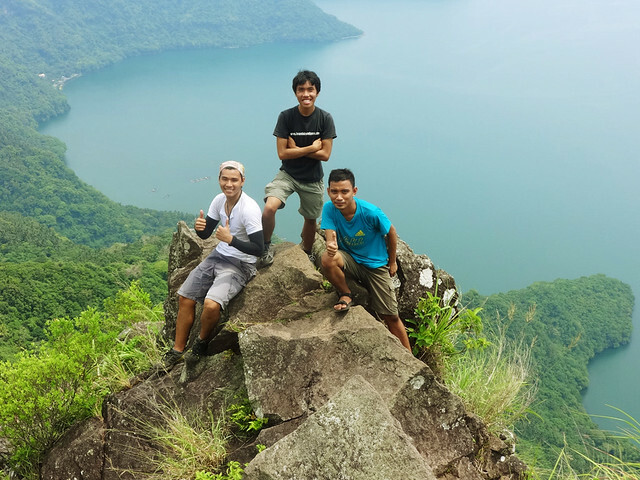 Maculot will never be complete without letting your senses experience the rockies. 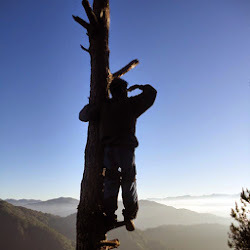 It is, for me, the most beautiful viewdeck among the Tagalog mountains. Be warned, once at the rockies view deck, there's a chance that you'll forget your name. The view was just too beautiful. Superbly breathtaking. Bringing a camera up there is a must. 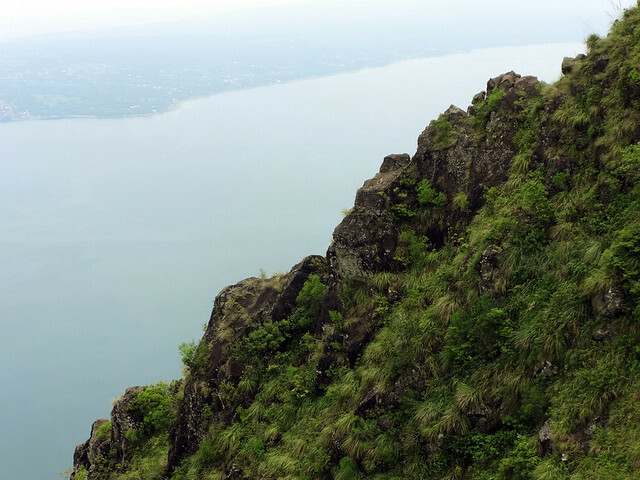 Taal lake and the volcano island is the most prominent view from the rockies. 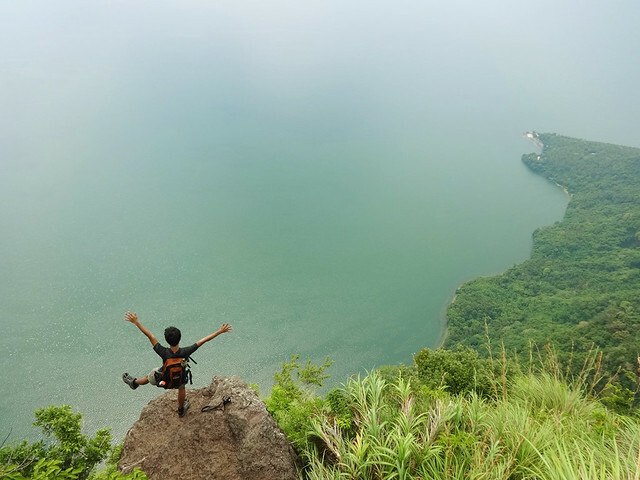 If you're lucky enough, the summit of Halcon, Batulao, Makiling and Tagapo would be visible too. As much as we wanted to stay and feed our eyes with beauty and greatness, our time's up at the rockies. We trekked back to the campsite and from there we descended the new trail. A 30-min descent on a trail that's loose and slippery eventually led us back to Cuenca town. Another fun day at Mt. Maculot. Boo yeah! 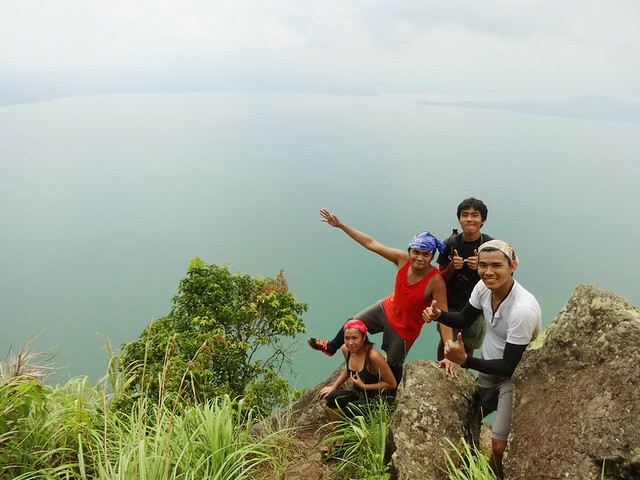 would it be possible to do a maculot traverse (grotto-summit-rockies) at this time?